Sixteen years ago, today, I was in New York, together with 15 other Timorese, like many other Timorese citizens in Timor-Leste casted our votes, that will decide the future of Timor-Leste whether to remain with Indonesia or be an independent country. 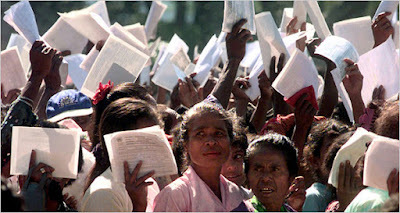 August 30th 1999, today, in Timor-Leste, hundreds of people men and women, young and old descended to the voting centers, standing in the long queue impatiently waited to cast their votes - the last bullet for the independence. But it was a long journey full of suffering, agony and despair. Two hundred thousand, one third of the population, perished. They died of starvation and mass killings in the jungles and in the concentration camps at the hands of the occupying forces during the 25 years of occupation. It was not until May 4th 1999, that United Nations Secretary General Kofi Anan was able to bring together Mr. Jaime Gama, the Minister of Foreign Affairs of Portugal and Mr. Ali Alatas, the Minister of Foreign of Indonesia, to met in New York and successfully persuade the two Ministers to agree on holding a popular consultation in Timor-Leste. The agreement, however, came with condition. Ali Alatas could only agree with the condition that the Indonesian military be responsible for maintaining law and order or no popular consultation at all. Given the security responsibility to Indonesia army was the same as having a wolf guarding a chicken coup. 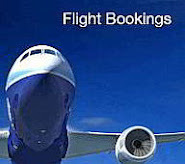 It was difficult bargaining for Portugal to accept. Mr António Gamito, a Portuguese diplomat, asked me whether the Timorese side would accept such condition. My answer was, two-hundred thousand people have lost their lives for the independence, so no matter the cost of this consultation will be the Timorese people stand ready to face the last consequence. I was always confident and optimistic that the popular consultation was the last resort for the people of Timor-Leste to bring to a closure the 25 years of struggle for independence. In New York, a few days before the consultation I had a debate with Ambassador Edward Master, the US former ambassador to Indonesia, on News Lehrer Television Program, Jim Lehrer asked what was my prediction on the outcome of the public consultation, I had no hesitation to say between 75 to 80 percent of the Timorese people will vote in favor of the Independence. 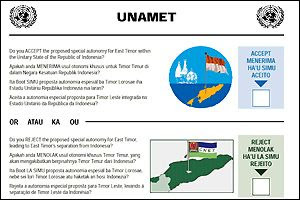 A few days later, on evening of September 4th, 1999, when Kofi Anan, then the UN Secretary General, announced the final results where 78.5 percent of the Timorese people voted in favor of the Independence and 21.5 percent chose to remain with Indonesia. It was an emotional moment to see the long battle has come to an end. That evening I was sitting at the CNN office in New York, to be precise on 8th Avenue, waiting for an interview. 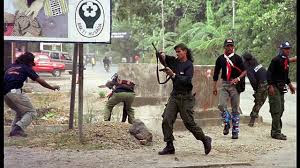 Though I was happy with the results I worn the United Nations to immediately deploy the UN peace-keeping force to maintain peace and order in Timor-Leste, for the militias, whom were armed and abetted by the Indonesian military, have being terrorizing the population. As soon as the result was announced violence quickly erupted in Dili and in the country. Hundreds of people were forcibly moved to West Timor, hundreds fled into the mountains, many dies, and about 85 percent of the infrastructure obliterated. Two months later after strenuous negotiations and shuttle diplomacy, lost of human lives, and destruction, the United Nations Security Council, finally, decided to send the International Force for East Timor (INTERFET) led by Australia. Freedom at last! It has been sixteen years that we are free as a nation and as people.